Usually I don't bake anything unless there is an occasion to celebrate. Today happened to be our wonderful Nanny's birthday (my kids really love her, though it is her job, she does it very well). She didn't tell me about that, but I heard when someone wishing her on the phone. Sometimes when we can not thank enough to someone, we can bake enough goodies for them. So I wanted to surprise her with this superb bread (I already have this one in my pantry). 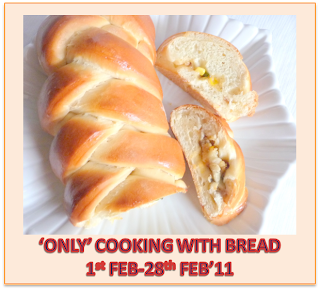 I have never baked a bread, and so here is First Bread Baking Experience. As this is my first time, I wanted to start with the ready made mix, I bought this Archer Farms Cinnamon Streusel Bread Mix a few days back at Target. I picked this one in particular, because the marble effects on the bread resembled the marble cake which is a favorite in my home. And surprisingly another fact I have seen is Fat 0g in the Nutritional Info Label. Don't ask me how is that possible? 1. Heat the Butter in a small bowl in microwave on high for 1 min. 3. Mix the water, eggs, and oil in a medium size bowl. Beat with cake mix beater on low for 1 min. 4. Mix the Bread Mix into this keep beating until the thick batter forms. 6. 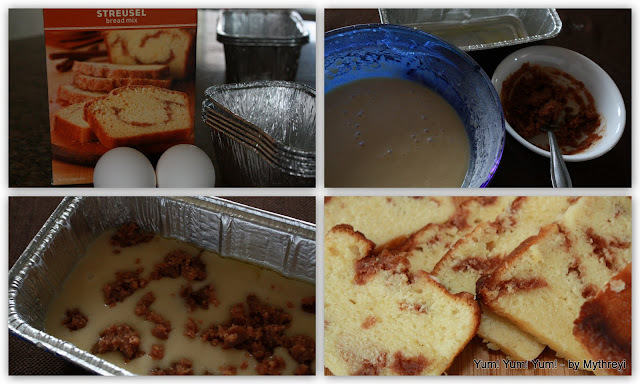 Start Pouring the batter, then Cinnamon Sugar mixture and Batter, Followed by Cinnamon Sugar Mixture as Layers. 7. Bake in the oven at 350F for 1 hour. After 50 min, I kept watching it so that it won't become burnt. 9. Cut into slices (if you can resist) store it in the air tight container for the next 2 to 3 days. Yum! Yum! Yum! 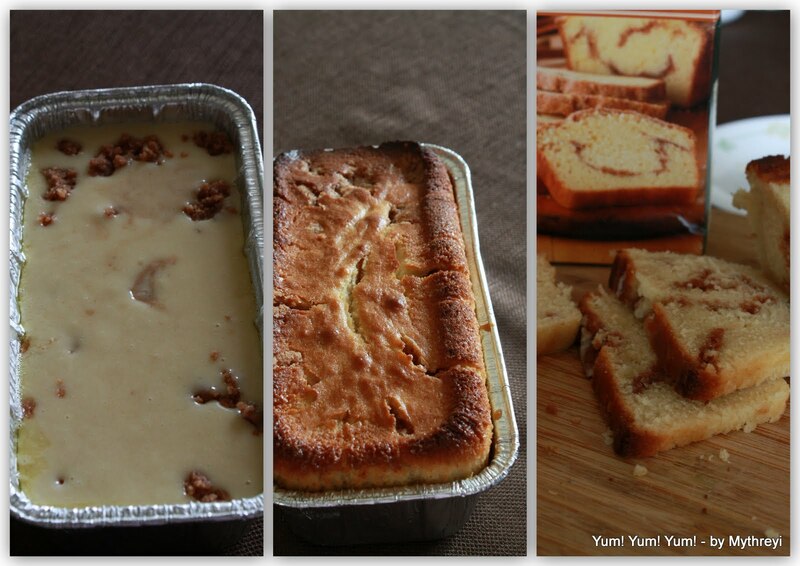 my kitchen is already full with the nice aroma of Cinnamon, and liked the marble effects. Our Nanny is delighted with joy, my son loved the bread, this is definitely a warm welcome (despite of this cold weather) for hubby after his business trip. Serve in the afternoon along with hot coffee or chai. As this is not that sweet, it can be substituted for your coffee cakes also. The directions on the package said 1/2 cup of Butter, I have replaced that with Oil (as I am out of butter and it is all ice outside couldn't dare to make a trip to grocery store this time. ), but still turned out good. 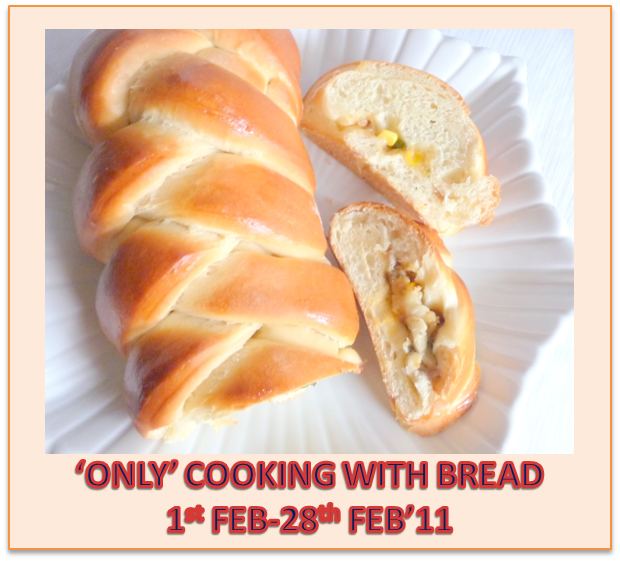 I am sending this to 'ONLY' Bread Event by Pari. Lovely pictures. Bread looks great! Love this subtle mild sweetness... Yummy..